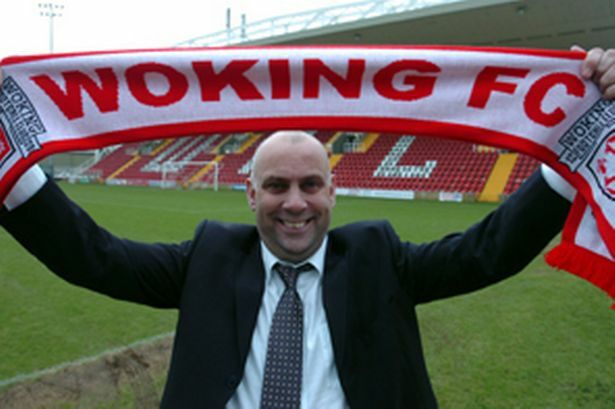 Garry Hill is currently at the helm at Kingfield and has been since January 2011. He has had managerial success at Dagenham & Redbridge (Isthmian Champions 2000), Weymouth (Conference South Champions 2006) and Woking (Conference South Champions 2012). Not an easy one this. From the M25 come off at Chertsey Junction 11, and at the top of the slip road turn right, following the signs for A320 Woking and Guildford. Basically stay on this A320 road which is regularly signposted Guildford and eventually you will reach the ground. The real secret in finding Kingfield was always to follow signs to the Woking Leisure centre which is opposite the ground. Options are either street parking or for ease at the leisure centre. Park near the entrance/exit if you can it will save some time getting home, trust me. Trains from London Waterloo which will take approx. 40 minutes and go directly to Woking Station. Woking train station is in the Centre of town approximately a mile and a half from the ground and about 30 minutes brisk walk. Stuff that, its a cab journey Reckless, made for sharing and leaves time for an extra beer! The supporters Coach will leave the Hive at 12.00 midday with earlier pick up points at Potters Bar Station. Barnet (3 separate places), Whetstone and Edgware starting at 11.00 am. The price is £20.00 return. 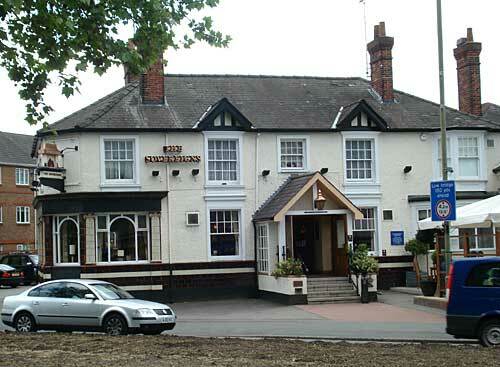 The nearest pub to the ground is the the Kingfield Arms. It is located about 500 yards from the ground on Kingfield Road. My choice would be the 'The Sovereigns' which is an Ember Inn on the Guildford Road (A320) purely because one of my spies told me about the awesome Ultimate Mixed Grill on offer for about £11.00 - rump steak, gammon steak, a whole chicken breast, two pork, leek and bacon sausages,two fried eggs, chips, a grilled flat mushroom, onion rings, garden peas and half a grilled tomato. He is a big lad believe me and struggled to finish it! The catering inside Kingfield was always decent and according to my spies is still as good. 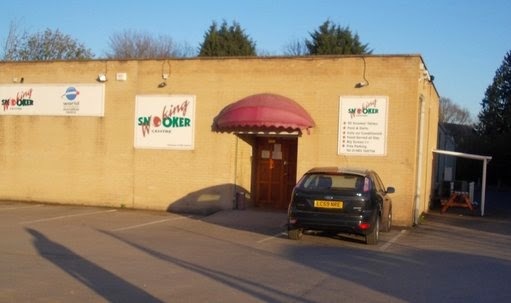 Another option of course is the Woking Snooker Centre which is adjacent to the ground. Well behaved away fans have always been made welcome and I have used it on many occasions – nice people they are too. Away fans were not permitted in The Cardinals Bar last year because of segregation but if you fancy a blag then it can be found behind the main stand. Our last meeting was in October 2013 (actually on my 30th wedding anniversary) and Barnet's loyal bunch of travellers were blessed with a 0-0 draw in front of around 1,400. A Barnet match against Woking over the years has usually been exciting, but not normally rewarding. A George Cleary last minute penalty in front of a massed North Terrace got the Bees a reply in the FA Cup, in 1978 (what a great goal celebration that was). 3-3 the final score but we would have won at Underhill that day if it hadn’t been for Jimmy Greaves getting himself a red card! The replay also finished 3-3 at Kingfield but the Cards gave us a lesson in finishing at Brentford’s Griffin Park 3-0 in the 3rd game. After two further fantastic FA Cup draws at Underhill 4-4 and 2-2 in successive seasons (1994 and 1995) the Bees lost both replays at Kingfield. 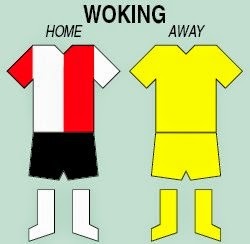 Woking is famous for producing the creme de la creme of the British pop music scene. Paul Weller of the Jam, Petula Clark of ‘Downtown’ fame, the songwriter of that song and the ‘Neighbours’ theme tune Tony Hatch, Les Reed composer of ‘The Last Waltz’, Rick Parfitt of Status Quo and the band Badfinger who were discovered by The Beatles, to name most of them! Literature is also well represented in the history of Woking as both George Bernard Shaw and HG Wells resided there at some time. The first ever Mosque to appear in Britain was built in Woking in 1889 as was the first ever Crematorium in Britain in 1884. Whilst the West Woking Working Mens Club was closed in 1960 as the local council felt the name was too difficult to pronounce!